I’m dreaming of a fright Christmas. 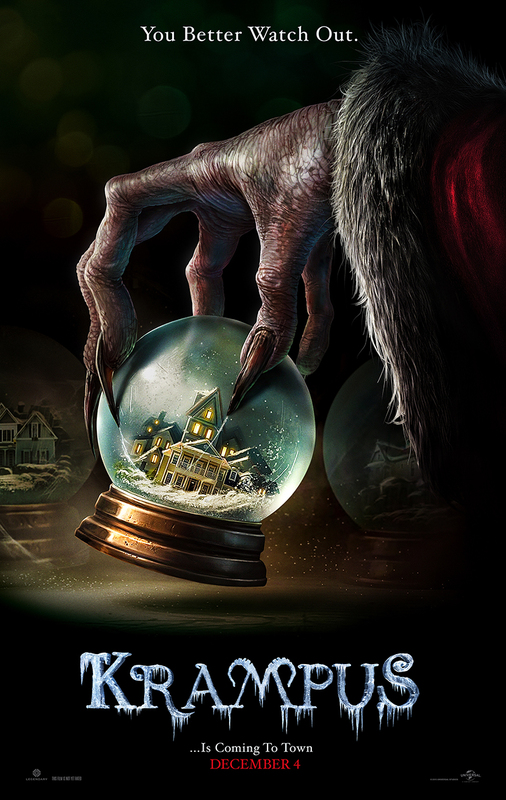 The holidays are upon us, a time when families come together to celebrate, to feast, and in the new film, Krampus, battle an ancient evil demon hellbent on destroying them all. Starring Adam Scott and Toni Collette, Krampus is the latest in a number of films that mix the holiday of Christmas with the genre of horror. Max (Emjay Anthony) is a young boy preparing to celebrate Christmas with his family – dad Tom (Adam Scott, Parks and Recreation), mom Sarah (Toni Collette, The Sixth Sense) and sister Beth (Stefania Levie Owen). As is tradition, they are soon joined by Sarah’s sister’s family as well. When the relatives arrive, we see that they aren’t the most enjoyable people to be around, from obnoxious Uncle Howard (David Koechner, SNL, Final Destination 5), to the sisters’ booze-dropping mom, Dorothy (Conchata Ferrell) to their three grating kids. (Their newborn child is too new to be annoying, though will no doubt one day join the ranks of her brethren.) Only Sarah’s sister, Linda (Allison Tolman, TV’s Fargo) appears to be relatively normal. Also on hand is Tom’s Austrian mother (Krista Sadler), lovingly known as Omi. Prior to all the bickering and general unpleasantness, Max writes a letter to Santa, asking not for presents for himself, but for a Christmas like his family used to have, where everyone got along and enjoyed each other’s company. You see, the spirit of Christmas is still very much alive in Max. However, that spirit is soon tested by his irritating cousins, and Max denounces his Christmas wishes and tears up the letter. As the pieces get swept up into the cold, wintry air, a malevolent spirit that has existed for centuries, known as Krampus, begins to wreak havoc on the snowed-in town. You better watch out, you better not DIE! Krampus doesn’t come alone. He has a slew of hellpers, ranging from horrifying-looking clowns to mischievous gingerbread men to various toys come to terrifying life. It turns out Grandma has some knowledge of Krampus, itself, a monstrous, powerful, horned, hoofed creature you wouldn’t want to run into on the best of nights. With blizzard conditions and the power out as well, this vicious force of nature is especially formidable. As various family members are abducted, injured or worse, this dark anti-Santa and his hellves, summoned by the lack of true Christmas spirit, look to add to their centuries-old pile of victims. Can these two feuding families put their differences aside and come together to fight this ancient hellspawn? Krampus is an enjoyable romp full of Christmas fear. 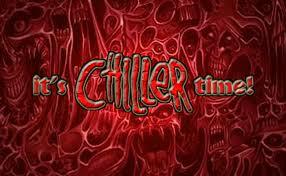 It blends not only the holiday with horror, but comedy and horror as well. The film actually starts off like a version of National Lampoon’s Christmas Vacation, albeit not quite as funny. When Krampus makes his early first appearance, the film veers more towards the horror angle, which comes rather naturally, as the glimpses we get of the creature are quite intimidating. The cast, especially comedy veterans like Scott and Koechner, handle the comedy aspects effortlessly, while stepping up when it comes to fighting for their lives. Emjay Anthony does a great job as Max, around whom the film is centered on. Sadler, too, is effective as the wise and weary grandma, convincingly conveying the mystery and folklore of the legend that is Krampus. The film comes from writer/director Michael Dougherty, who brought us another holiday frightfest, the delightful 2007 anthology, Trick ‘r’ Treat. He clearly knows how to inject darkness into the bloody heart of the holidays. Although the film has a number of terrifying moments, and there are some bloody and grotesque scenes, there’s nothing overly gory. We’re not venturing into Eli Roth territory here, as the film is rated PG-13. Although the Gore 4 likes its horror dark and nasty, there’s a place for more palatable horror too, especially around the holidays. So, hang up your stockings, leave out some milk and cookies, and fill your spirit with joy and happiness. 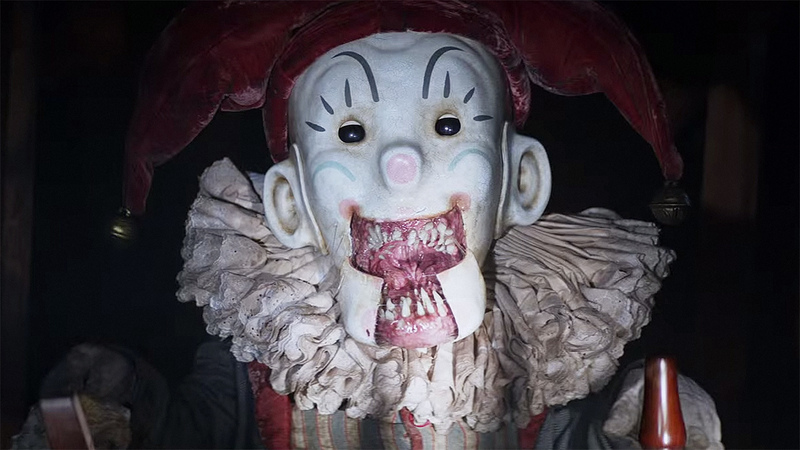 You don’t want to invoke the terrifying Krampus – except at the movies.